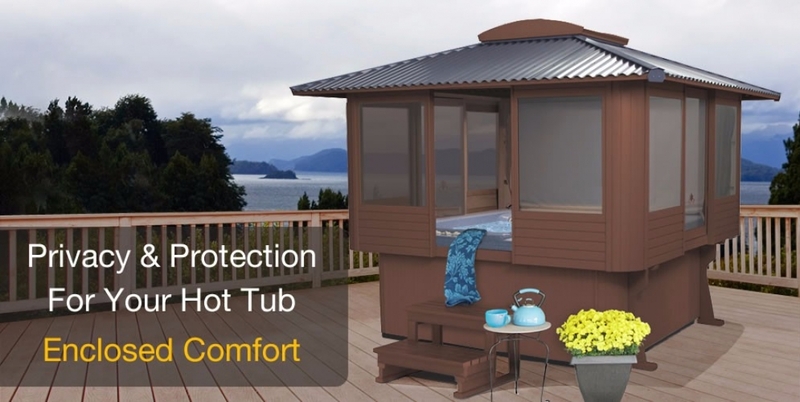 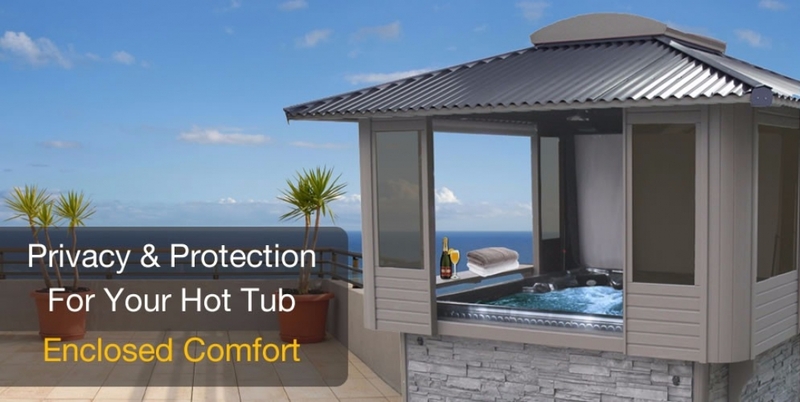 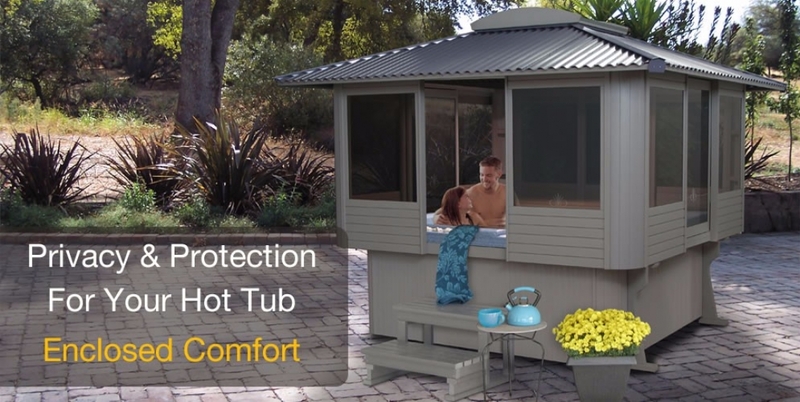 Secure & cozy, compact and functional designs that fit closely to the sides of your hot tub. 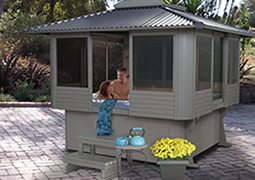 Open-air freestanding structures combine overhead protection and classic visual appeal. 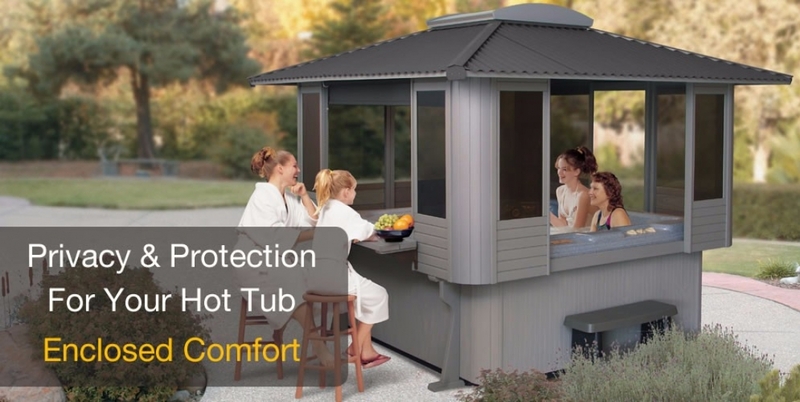 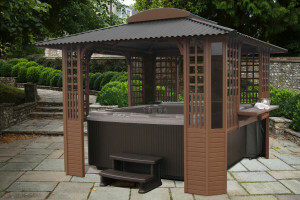 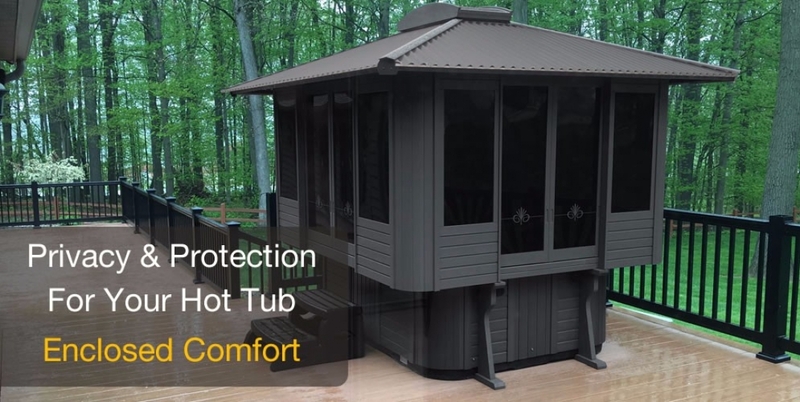 Sequoiaworks – Your Spa Gazebo, Hot Tub Enclosures & Spa Cover Company Supplying You With The Most Attractive, Affordable And Easy To Build Hot Tub Structure Kits On The Internet!